A line up of stars joined godmother Mariah Carey for the christening of the fourth ship in the Disney Cruise Line fleet, Disney Fantasy, in New York last week. 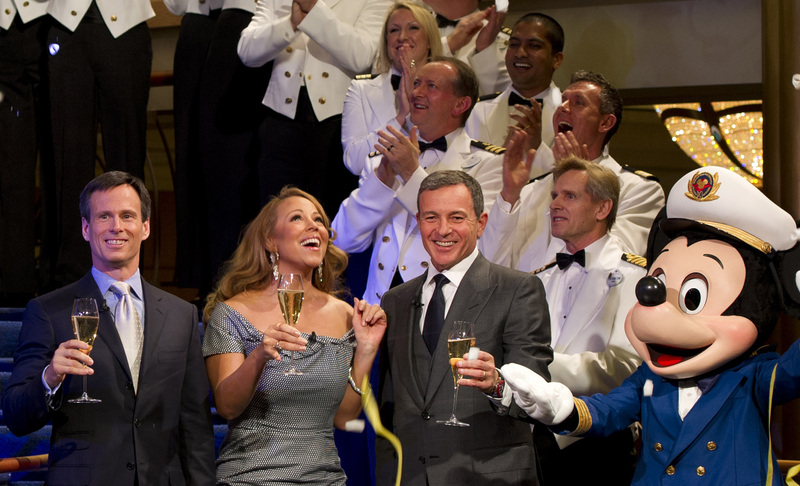 Celebrities including Jerry Seinfeld and Neil Patrick Harris, joined Mariah as she led the crowd in a countdown ahead of her husband, Nick Cannon and Minnie Mouse breaking a traditional bottle of champagne against the ship’s hull. A 6-foot tall bottle of champagne erupted to shower guests in the atrium with confetti and streamers with Captain Mickey Mouse, Walt Disney Company president and CEO Bob Iger and Walt Disney Parks and Resorts chairman Tom Staggs joining in the festivities. 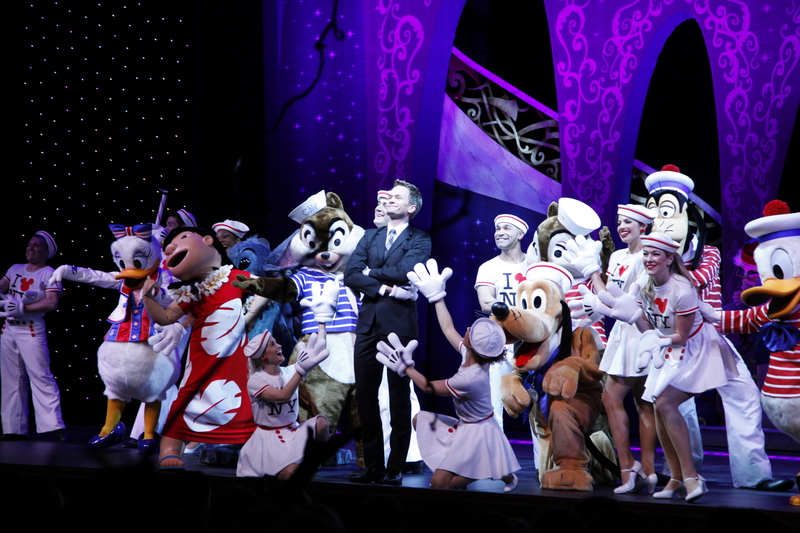 “The Disney Fantasy is a spectacular addition to our fleet and builds on the creativity, innovation and artistry that are hallmarks of the Disney Cruise Line,” Mr Iger said. The Disney Fantasy arrived in Port Canaveral, Florida this week where she will embark on seven-night eastern and western Caribbean itineraries from 31 March 2012.
Who do you think should be the godmother for the next ship that is launched? Click here to view photo of Disney Fantasy sailing into Port Canaveral for the first time.